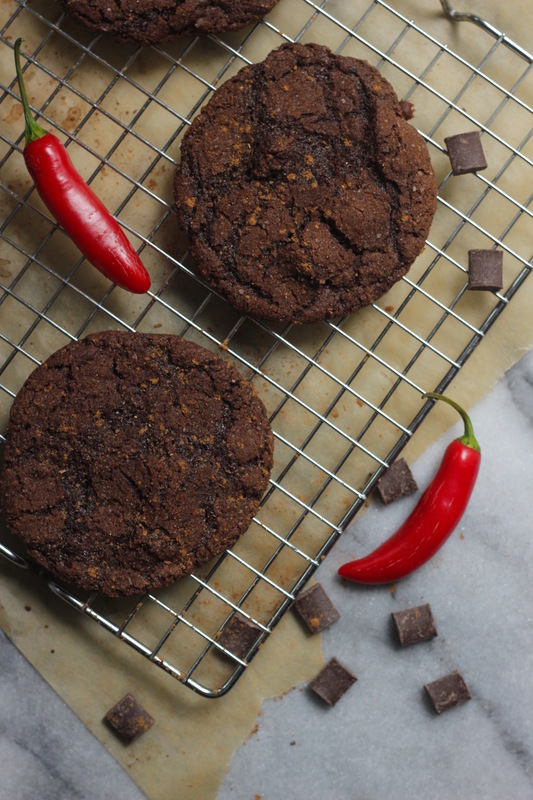 After a week of chewy chocolate cookies, starting with relatively bland, simple cookies, to the final product filled with spicy cayenne, cinnamon and dark chocolate chunks topped with a sprinkle of sea salt, I’m starting to feel a tad cookie-d out. 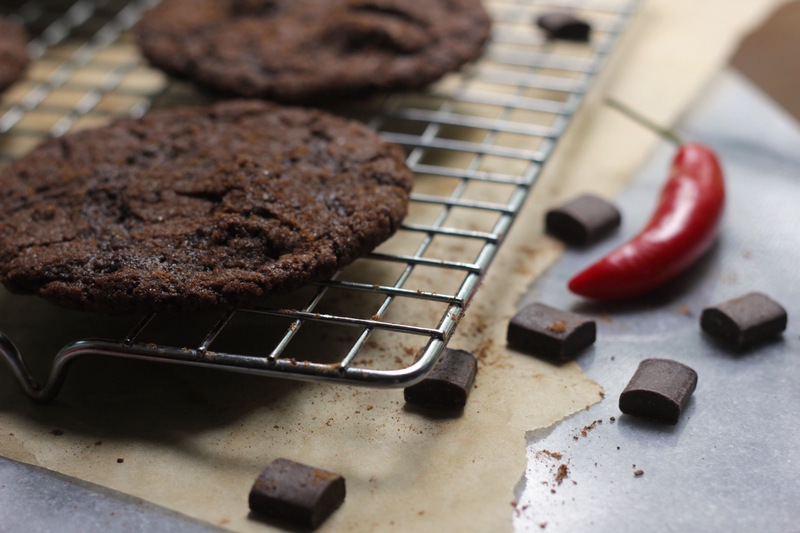 I like this version because the chocolate chunks add an extra richness, while the heat of the cayenne comes almost as an aftertaste to the chocolate. And the sea salt? Well sea salt, in proper portions, makes everything better. 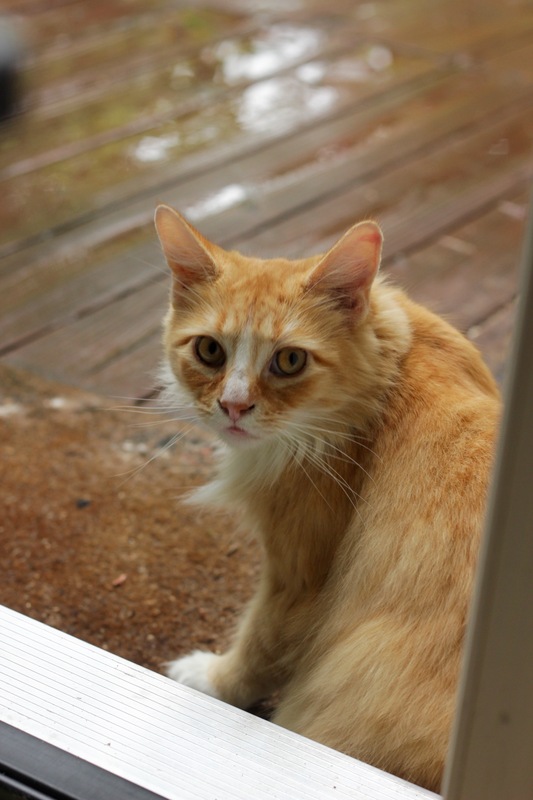 When I finally sat down and set up to photograph, it was a cloudy, rainy day, in which the cats continued to ask to go out, only to be upset when they discovered that it was still raining. In the end I kept the side door open as I photographed, so the cats could do as they pleased and I could get some lovely natural light. In a small bowl, beat the egg with vanilla extract before adding it to the sugar mixture. Mix to combine. Sift in the flour, cocoa powder, 1 tsp cinnamon, cayenne and baking soda and mix to combine. Fold in the chocolate chunks. In a small bowl, mix together 2 TBSP sugar, ¾ tsp cinnamon and kosher salt. Getting your hands slightly wet with water to prevent sticking, spoon out small portions of dough (a little smaller than a golf ball) and roll in your palms until round then press lightly into the cinnamon sugar mixture. Spread evenly amongst two cookie sheets lined with parchment paper (remember to space them out- these cookies will spread!). Bake for 14 minutes, rotating halfway. When the cookies are done, remove the trays from the oven and allow them to cool in the trays for at least 5 minutes before moving to a cooling rack. 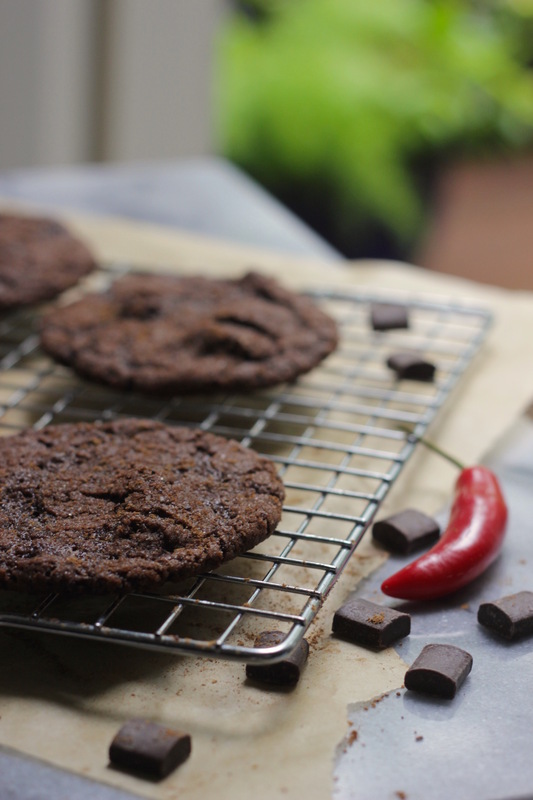 If you liked this recipe, you’ll love my Cinnamon Spiced Almond Meal Cookies recipe!